RACING has lost a true renaissance man with the death shortly before Christmas of Bob McCreery, a former champion amateur rider, renowned breeder and an influential industry figure. McCreery, who had been suffering from a long illness, was 86. McCreery was acknowledged as one of the most accomplished and fearless amateur riders of his day. A contemporary of Gay Kindersley and John Lawrence (later Lord Oaksey), his first success in the saddle came at the age of just 16, when he steered Alacrity to victory in a selling handicap chase at Wolverhampton in 1949. His next winner must surely have counted as one of his most important as Glenwood, who won the amateur riders’ handicap chase at Wolverhampton in January 1950, was owned by his father, the distinguished General Sir Richard McCreery, who commanded the British Eighth Army in Italy 1944-45. The son followed in his father's footsteps by attending Eton and inheriting a love of horses, although he did not enter the military after failing the army medical having had a kidney removed as a child. By the end of his time in the saddle, which spanned 13 years, McCreery had ridden a total of 131 winners and had twice claimed champion amateur honours. His first championship came during the 1955-56 season, when he tied with Danny Moralee on 13 winners. He claimed the title outright the following season, when riding a career-best total of 23 winners. His most notable achievement as a jockey came when winning the 1953 Welsh Grand National on Stalbridge Rock, owned and trained by Harry Dufosee. He also partnered two Cheltenham Festival winners - Coral Boy in the 1951 United Hunts' Chase and Ballyatom in the 1957 renewal of the Cotswold Chase, now the Arkle - and landed the 1961 Henry VIII Novices’ Chase on Granville, another winner owned by his father. McCreery rode winners in France, Spain, Sweden and the US, and also tasted success as an owner with the likes of 1986 Cesarewitch scorer Orange Hill and useful jumper Gold Wire, in whom he was a partner with Chesney Allen and Jimmy Knox of variety act The Crazy Gang. Having hung up his riding boots McCreery bought Moreton Paddox Stud at Moreton Morrell, Warwickshire, in 1963, and with the purchase of Camenae for 1,500gns in 1966 he began a fruitful career as a breeder. The daughter of Vimy was the source of two of the most successful horses bred by McCreery, both of whom would go on to successful stallion careers. Camenae was the dam of High Top, who took the scalp of Roberto when he won the 2,000 Guineas in 1972. He later sired the likes of St Leger winner Cut Above, Oaks winner Circus Plume, Irish Oaks winner Colorspin and Prix du Jockey Club winner Top Ville. He was also the damsire of Opera House, Kayf Tara and Classic Cliche. Camenae was also the granddam of 1989 French and Irish Derby winner Old Vic, a member of the first crop of Sadler's Wells who went on to become a top sire of jumps horses. Progeny of Old Vic include Cheltenham Gold Cup winner Kicking King, dual Grade 1 winner Our Vic and Grand National heroes Comply Or Die and Don’t Push It. 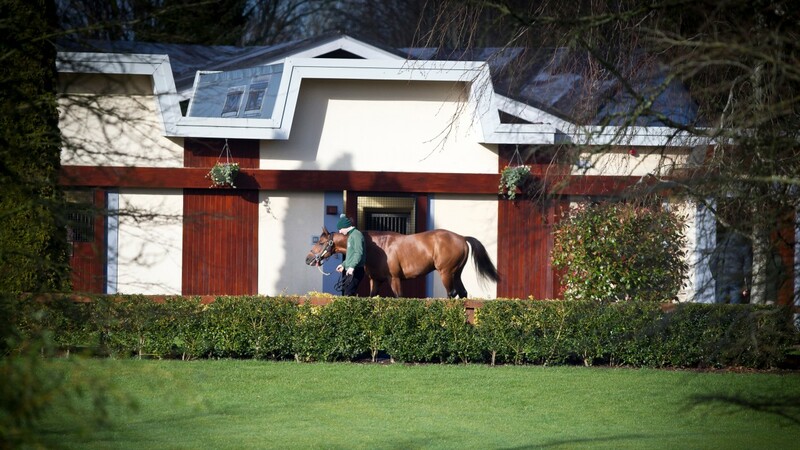 In 1980 McCreery relocated to his family home of Stowell Hill in Somerset, from where he bred Old Vic as well as Electric, winner of the 1982 Gordon and Great Voltigeur Stakes, Anshan, who won the 1990 European Free Handicap and the Supreme Stakes, and more recently Jersey Stakes winner and Irish National Stud resident Gale Force Ten and ill-fated Horris Hill Stakes winner Piping Rock. He was also a former adviser to Lady Rothschild who named a colt – by Big Bad Bob – in his honour. McCreery the horse was later sold to Australia, where he has won a Group 3 and placed at the highest level. Away from the track, McCreery was involved in setting up the European Breeders' Fund in 1984, was a longstanding trustee of the Injured Jockeys Fund and was one of the driving forces behind the creation of Jets (Jockeys Employment & Training Scheme). Close friend Brough Scott, who rode Gold Wire to victory at Sandown for McCreery and joined him as a trustee of the IJF, said: "At first meeting Bob's slightly shy exterior could make him seem a touch reserved, but he was a warm, brave, funny, clear-thinking and immensely generous man. "I'm thinking of his wife Jeanette and the family and we will all miss him very much. We have lost a fine and highly original man that it was an honour to have known." Funeral details will be known in due course.